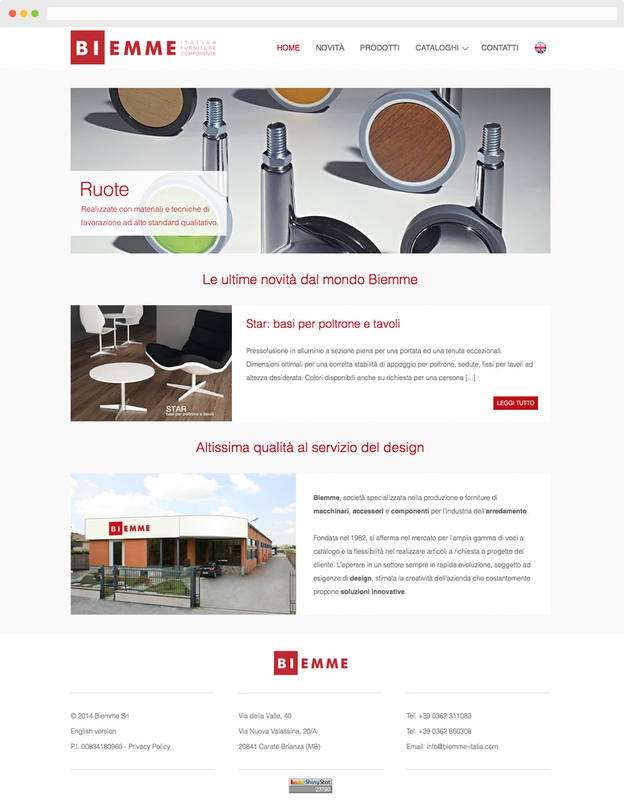 Biemme is a company specialized in the manufacture and supply of equipment, accessories and components for the furniture industry. Compared to the previous website was operated a complete restyling. The development of the project from scratch has been was carried through the HTML5, PHP, CSS and jQuery technologies. The biggest challenge has been to achieve an efficient management of the product catalog, containing hundreds of articles, based on MySql database and accessible through a simple navigation and an advanced search. Particular attention has been dedicated to SEO, search engines optimization. The site is completely manageable in all its parts using Adminio, our content management system, for editing text and multimedia files.